We offers books to promote practical, Biblical applications on a daily basis. Rev. 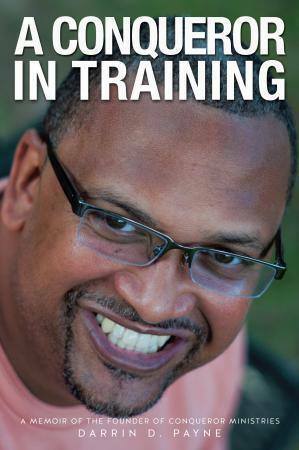 D's conversational writing style exposes readers to Biblical truth that has transformed him and countless others. He establishes the characteristics of a personal acquaintance with God and His word that fosters new beginnings we all benefit from. The theme of God's grace powerfully resonates in all his books as he reveals the remedy for sin-sickness, mental/emotional restoration and deliverance from the storms of life. The Conqueror Lifestyle is the antidote to any life that is overcome with circumstances. The Conqueror Lifestyle teaches Biblical truth that expels the seeds and roots of confusion and distrust regarding Jesus Christ as LORD and Savior. The Conqueror Lifestyle affirms God's desired will for mankind regarding true relationship with God through Jesus Christ. 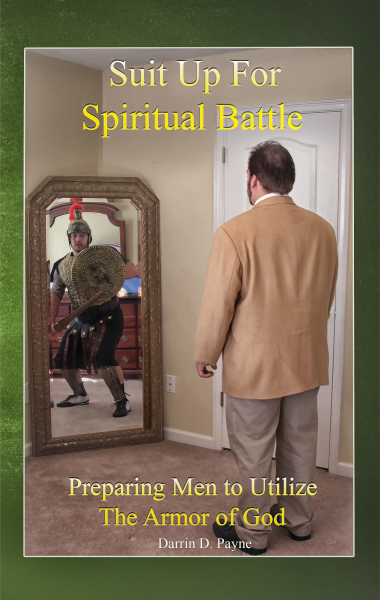 It empowers men from within on a daily basis. 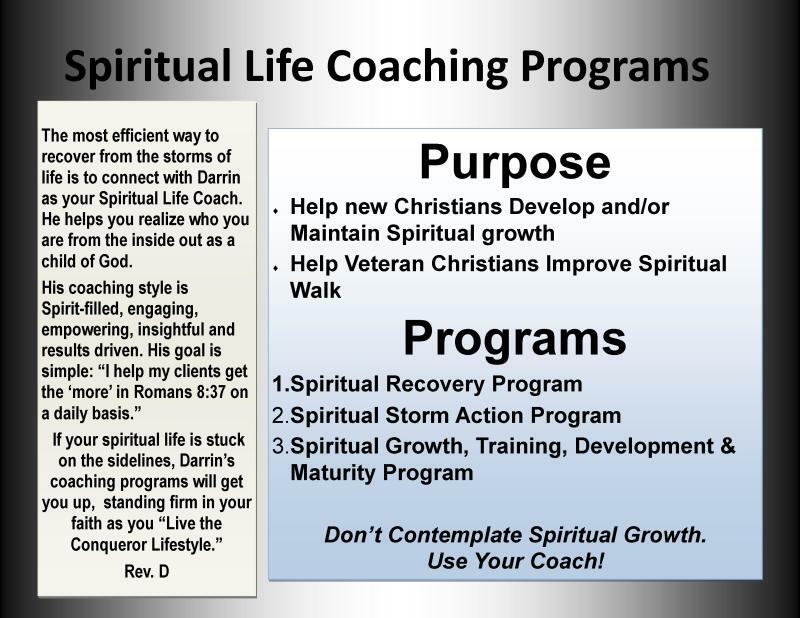 The Conqueror Lifestyle reveals the Power of God's word from Genesis to Revelations allowing for Spirit-filled worship services that cultivates an insatiable hunger for more. 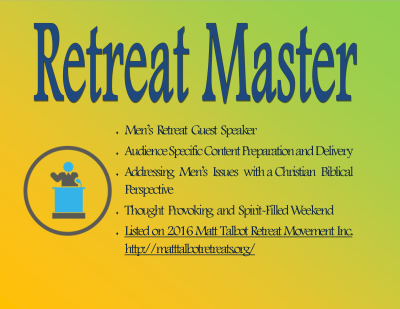 Book me for your next men's spiritual retreat for a 1 or 2 days of Spiritual, life-changing presentations. 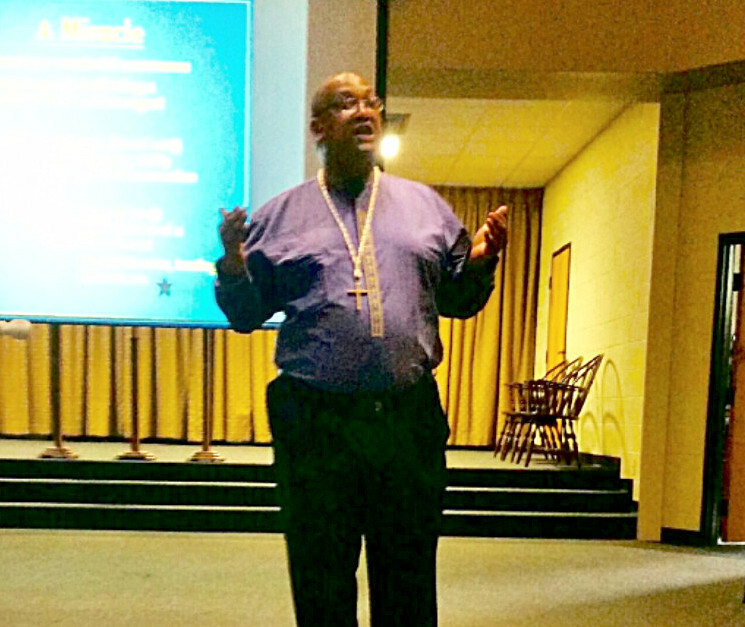 Each session is tailor-made for the attendees to realize Godly truth that transforms. 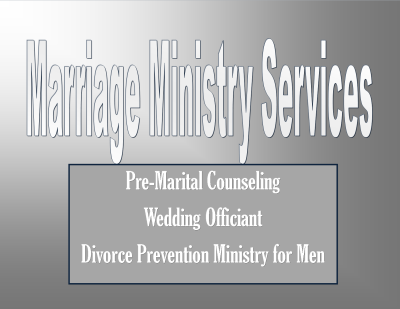 Book me for all your marriage preparation details: pre-marital counseling, wedding officiant and husband/wife relationship advocate services. 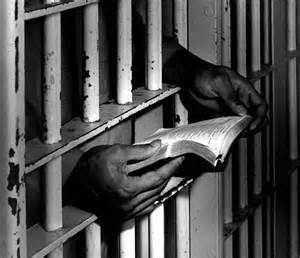 John 8:32 And ye shall know the truth, and the truth shall make you free. The truth we are sharing is Biblical truth. Man's truth is relative; God's truth is absolute. Each ministry opportunity is divinely inspired to share truth that transforms. We are here to provide the services God has equipped us for. The Holy Spirit is our source of excellence. Through Christ Jesus and His word we carry the message to others. 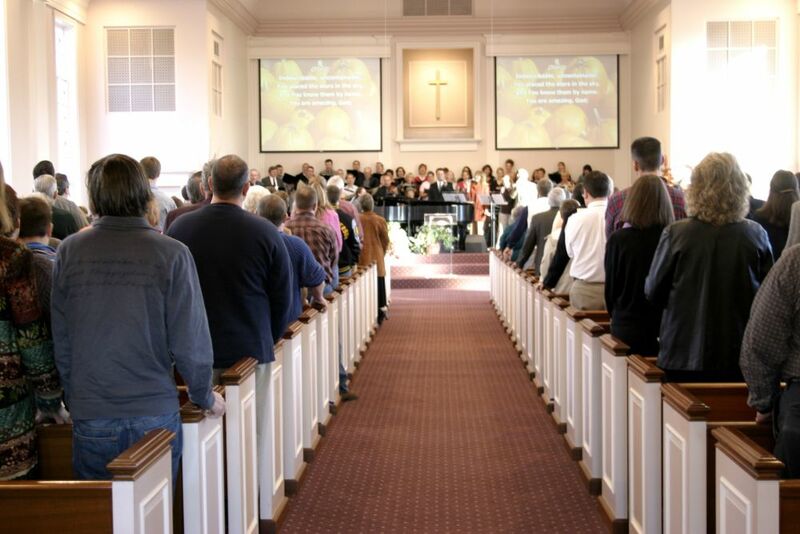 We share the truth about the gospel of the grace of God rightly-divided. Web-based blog that is available 24/7/365. "Shots" are categorized based on the 12 Spiritual principles we all strive to possess from day to day. Getting a "Conqueror Shot" is simple and there are no limits on how much you can consume. CLICK ON THE LINK, search for the type of "shot" you need and receive unlimited spiritual blessings as truth continues to transform you. Men who were once homeless now have stable homes, jobs and family interactions. 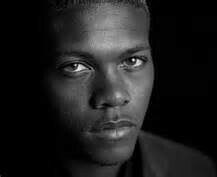 Others have found freedom from drugs, alcohol and crime and now live a new life in Christ. No matter how long we live the Conqueror Lifestyle we will ALWAYS identify with Galatians 2:20 "I am crucified with Christ: nevertheless I live; yet not I, but Christ liveth in me: and the life which I now live in the flesh I live by the faith of the Son of God, who loved me, and gave himself for me." The more our human lives are crucified with Christ the more possible it is to experience the resurrecting Power of Christ in us. Miracles do happen!